The Plum Tuckered Film Festival is back! PTFF features independent short films from around the country and the world, with a special focus on those from our Appalachia neighborhood. This year, screenings will take place on two nights – Friday, November 2 and Saturday, November 3, 2018. All films will be shown both nights with doors opening at 4:30 and films beginning at 5:30. Saturday night, filmmakers and attendees will mingle and celebrate in an after-party at Stumptown Ales, where the awards will be presented for the best film in each category. This 2018 event showcases a variety of short film genres including narratives, documentaries, music videos and animations. Appalachia filmmakers will qualify for special awards in each category. 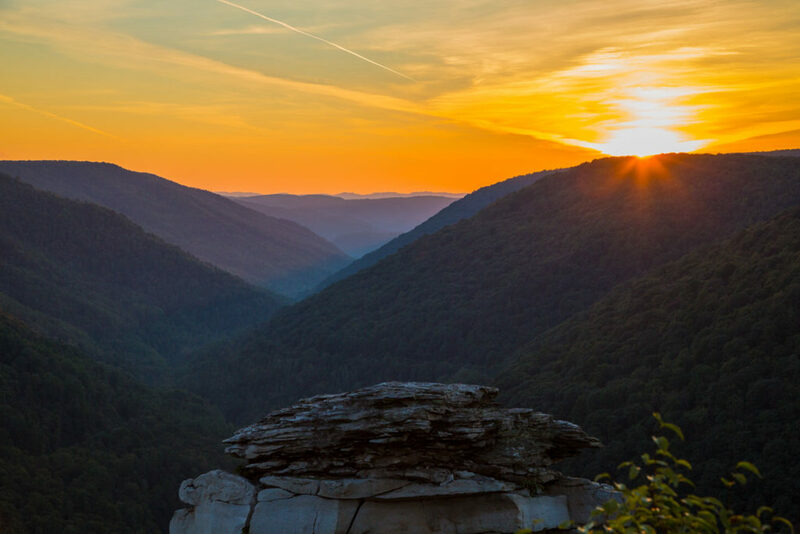 To qualify as Appalachian, the film must have been produced principally in Appalachia, or the filmmaker should live in or be an Appalachia native. Friday and Saturday night seating is on a first-come, first-served basis, with a $10 suggested donation at the door. Refreshments from various local businesses will be on hand. 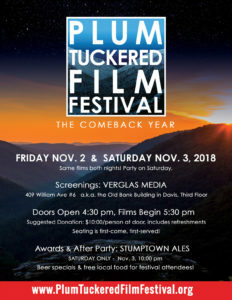 For the latest updates, be sure to follow the Plum Tuckered Film Festival on Facebook and the website at https://plumtuckeredfilmfestival.org. Sincere gratitude to all of our sponsors!